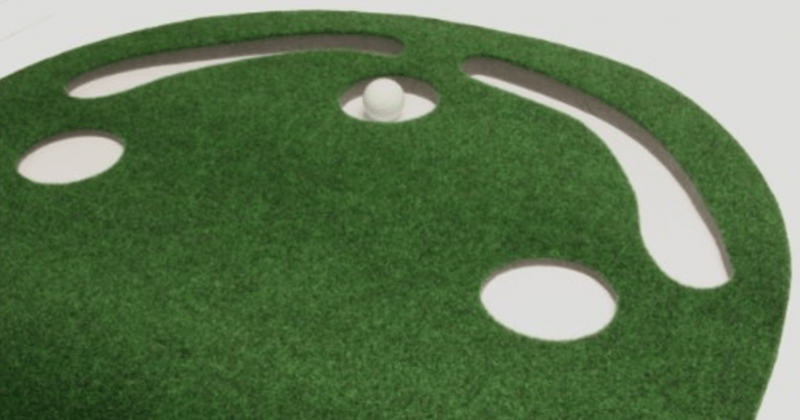 Turn any room in your home into your very own putting green with the Putt-A-Bout Grassroots Par Three Putting Green! 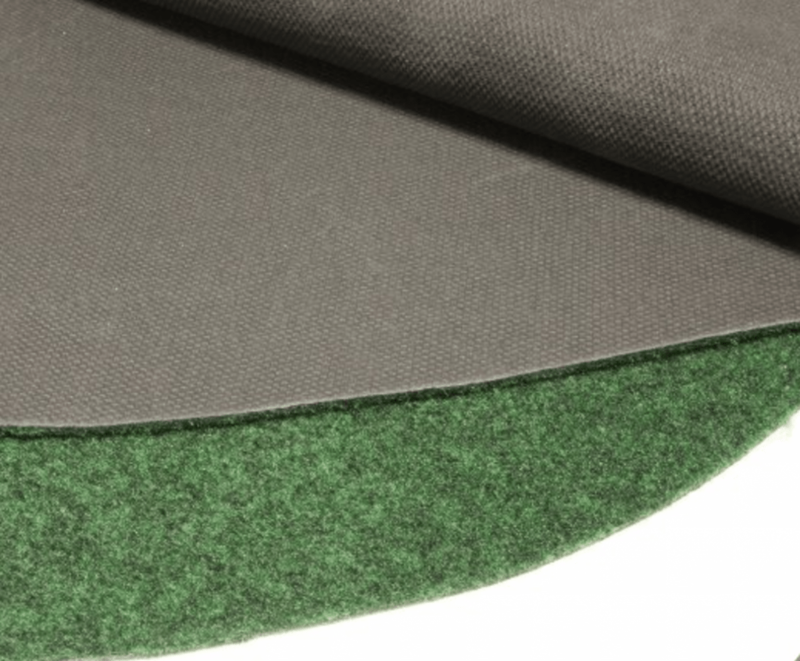 You can expect to get a “true roll” from the mat surface, which is designed to give you an authentic putting experience- just like you are at your own local course. You’ll be able to practice putting from the most crucial distances- inside 10 feet, while not taking up too much space in your home office, garage, or wherever you decide to put this bad-boy. I love practicing- whether in my house, in my backyard, or at the course. I get genuine satisfaction from seeing my game improve and like physical activities that improve any skill- especially golf. I’ve done my fair share of putting on carpets in my life. I think the Putt-A-Bout takes this indoor practice to the next level. 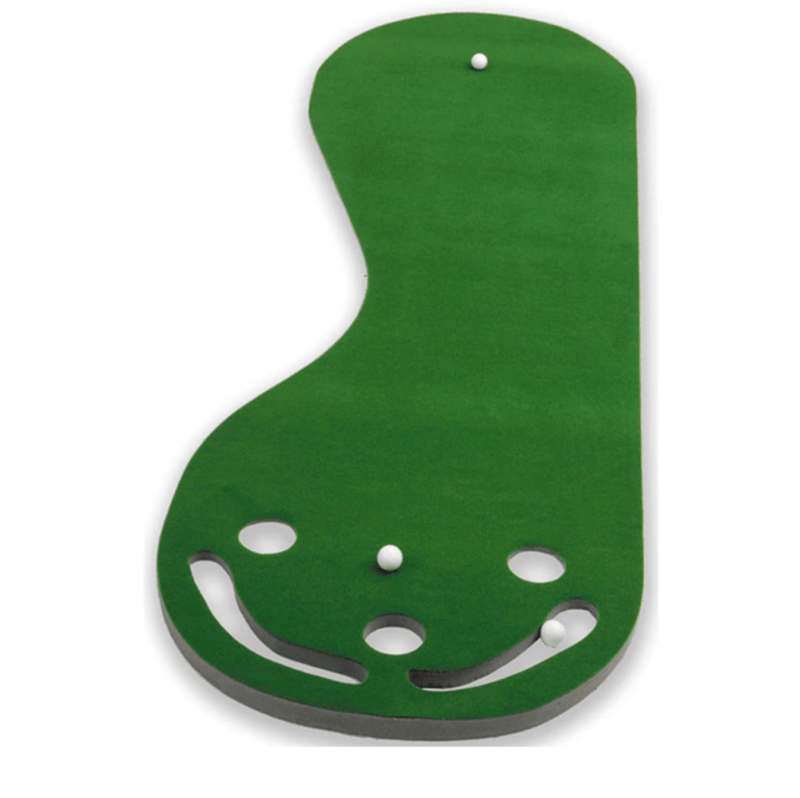 It’s engineered to provide you with a more realistic on-course experience by simulating the color, texture, slope, and cup cutouts you might see at your course. To hone your skills even further, the putting cups are slightly smaller than regulation cup size to lend more precision and productivity out of your practice time. It also includes a slight incline and won’t move around on hard surfaces due to the non-skid backing. Skidless backing that won’t damage your floor or move around while you’re on it.